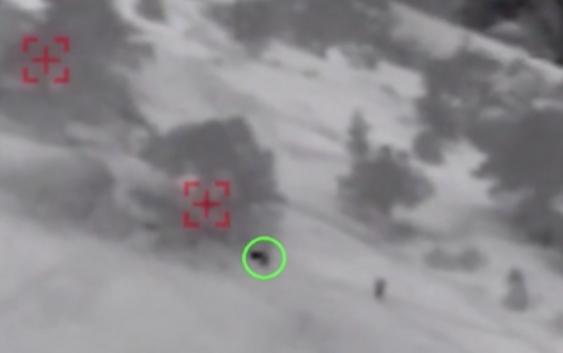 The U.S. Air Force has released aerial footage of Tech Sgt. John Chapman’s final moments in 2002 as he fought against al Qaeda militants in Afghanistan. Chapman, 36, voluntarily returned to Takur Ghar mountain in an effort to save a stranded teammate on March 4, 2002. He will posthumously receive a Medal of Honor later this month for his actions. Chapman’s aircraft was hit by a rocket-propelled grenade, ejecting his teammate Neil Roberts, the White House said in a news release last month. His squad would return for Roberts, but they didn’t know he was already killed. 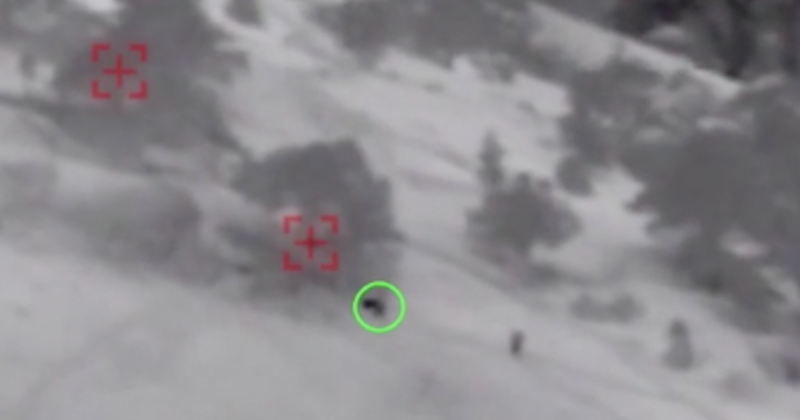 The newly released video shows Chapman running up a steep mountain slope and shows him charging an enemy-filled bunker and killing its occupants. He then moves from cover to attack a machine gun and is severely wounded but keeps on fighting. He engaged enemy positions and was killed in action. Navy SEAL Britt Slabinski was leading the team of seven SEALs on the rescue mission, which became known as the “Battle of Roberts Ridge,” one of the most controversial of the Afghan war. In May, he received a Medal of Honor for his efforts. Slabinski said he was next to Chapman when he was shot and killed. “John went down right away and I could feel the bullets passing through my clothes,” he said. He ordered his team to pull back off the ridge, but first he checked on Chapman. “I go over to where John was and crawl right over the top of John and I’m looking for some sign of life from John. I didn’t get any, any sign from him,” he said. Analysis of the surveillance footage indicated that Chapman may have been alive, raising the possibility that he was left behind. But Slabinski maintains that he saw no sign of life in Chapman. Chapman’s wife, Valerie Nessel, will join President Trump at the White House on August 22 for the ceremony.